Leave a message for Liz using the form fields below. If you have any questions, please contact us at (212) 269-7800. For general inquiries, email compliance@ingalls.net. Liz Larson is a Senior Vice President and portfolio manager, handling individual, corporate, charitable, trust and retirement accounts in the U.S. and abroad. Liz seeks investment opportunities in companies with strong managements, excellent long term growth prospects, solid financial characteristics and whose securities are trading at reasonable prices. Liz prides herself on providing the highest level of individual client service, and has many long term client relationships. 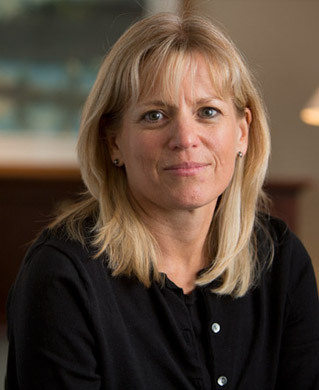 Before joining Ingalls in 1993, Liz was with Seligman Securities, Inc., and was a former Vice President and the Assistant Secretary of the Legacy Funds, Inc. as well as a former Trustee and President for the Alumni Association of the Packer Collegiate Institute. Liz became a Senior Vice President of Ingalls & Snyder in 2008. Liz earned her B.A. from Skidmore College. Liz resides on Long Island, NY with her husband and daughter.